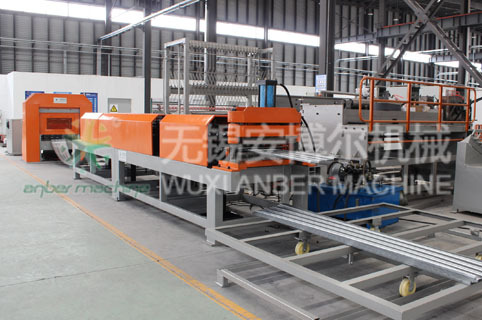 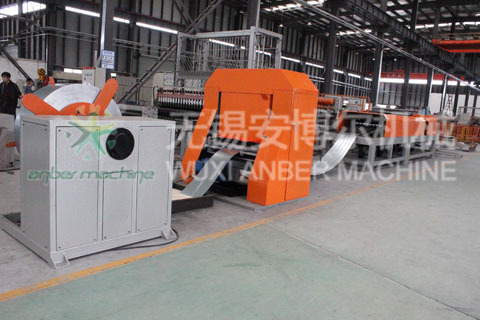 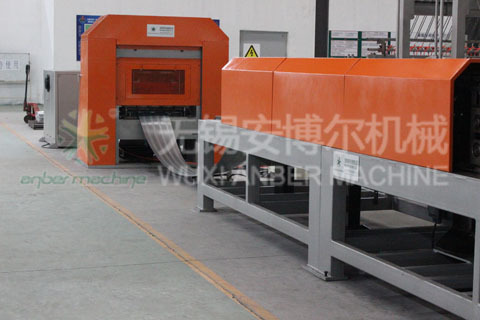 The rib lath machine is used to produce the rib lath which is applied to plaster the concrete and reinforce the wall light weight and high reinforcement. 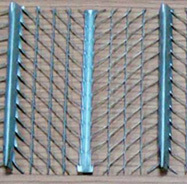 Rib lath is a flexible arrangement structure product which use galvanized sheet steel plate by punching and shearing and stretching process forming, which is of light weight and high reinforce. 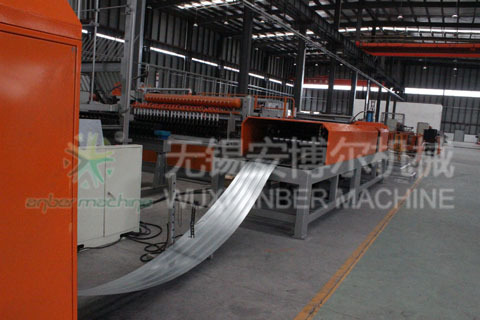 Rib lath is mainly used to construction engineering, the material use galvanized sheet steel plate, and the raw material thickness is 0.513-0.665mm, the theory width is 5334.mm. 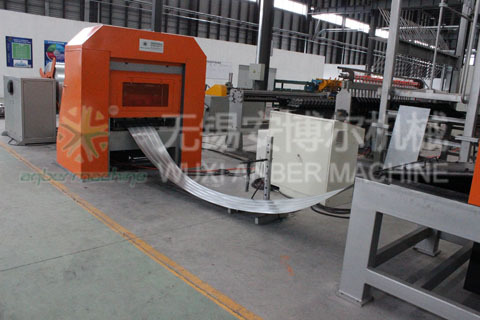 Inner diameter:	Φ420mm―Φ520mm, can adjust.